This property offers over 1,400 feet of Little Road frontage, across from Beacon Woods Golf Club and Riverview Apartments. 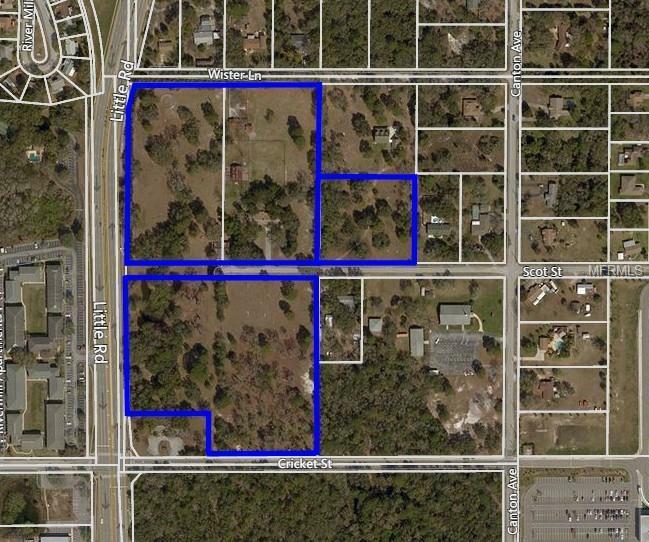 Close to the retail shopping corners at SR 52, this site lends itself to commercial, residential, multi-family (w/Land Use Change) or special uses such as assisted living, churches, private daycare or school campuses. Daily traffic counts on Little Road are 50,500 daily trips. Utilities are within 300 of the property and the flood zone is X & AE.